The Stradus® Lite was specifically designed to meet the lower cost but equally demanding clinical flow cytometry market. 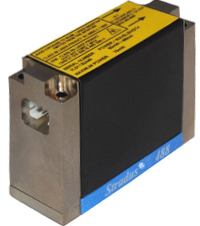 The laser is built using the reliable standard Stradus® laser technology but at ¼ the size and ½ the platform cost of the full size module. It is the perfect solution to reduce costs while still having the performance required for reliable diagnostic data. These are available in wavelengths including 375 nm, 405 nm, 445 nm, 473 nm, 488 nm, 514 nm, 532 nm, 637 nm, 640 nm, 642 nm, 660 nm, 705 nm, 730 nm, and 785 nm.